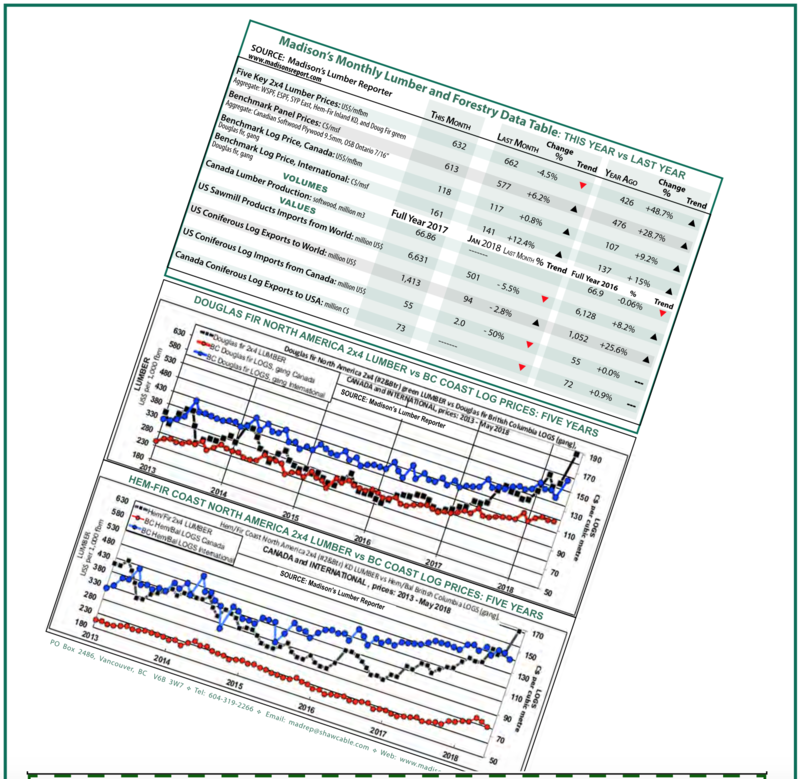 Your weekly North American softwood lumber and panel price guide, Madison’s Lumber Reporter, is delighted to announce a brand-new data set to help keep the Canadian and US forest products industry informed and up-to-date on the latest data and market information. DON’T MISS OUT, ORDER TODAY! The information tool for your forest management and investment planning decisions. 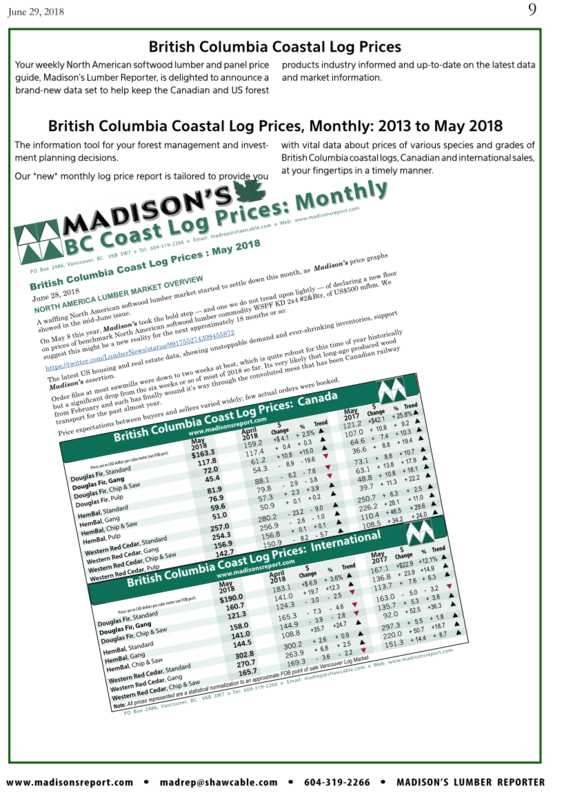 Our *new* monthly log price report is tailored to provide you with vital data about prices of various species and grades of British Columbia coastal logs, Canadian and international sales, at your fingertips in a timely manner.